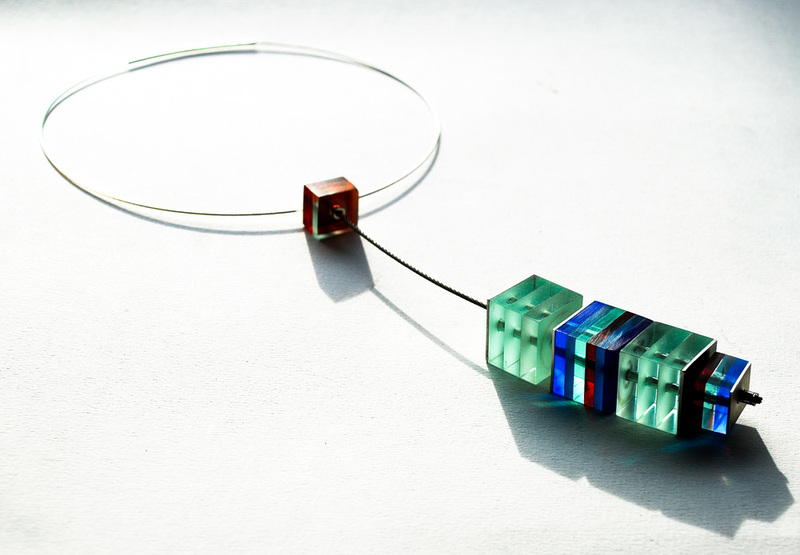 The Glow jewellery collection is based on a modular concept. 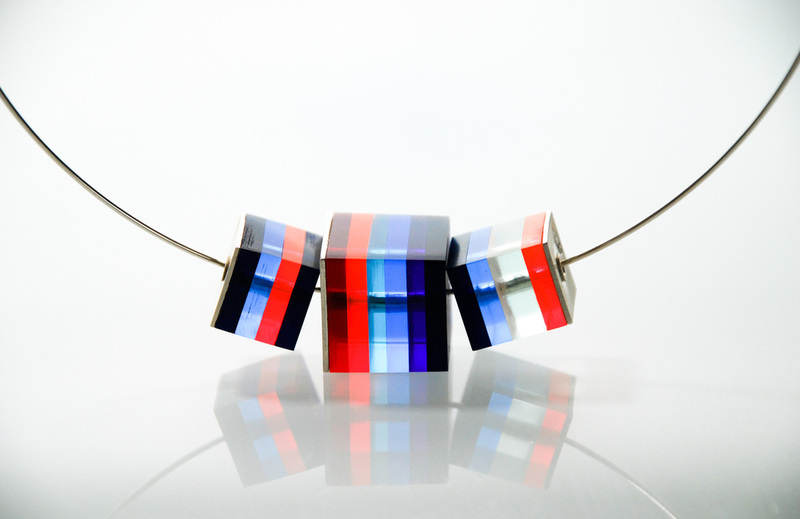 Each piece consists of several layers of Perspex® which are assembled in different colour combinations. Following the design evaluation, individual units are cut to size in a variety of colours. Using only the edge of the Plexiglas®, allows it a singular way of refracting light - allowing for endless design possibilities. Each piece is combined with precious metal and riveted together with tubing to give the Perspex® structure and sophistication. The final process involves sanding and hand polishing each piece to achieve the highly reflective surface inherent in the Glow collection.